Serena Williams of the US hits a return against Katie Boulter of Britain during their women’s singles match on day six of the Hopman Cup tennis tournament in Perth on January 3, 2019. The winner of 23 Slam singles titles, Williams was made to work a little harder than expected by young Brit Katie Boulter in the United States’ final group tie but prevailed in straight sets to make it three victories from as many outings. 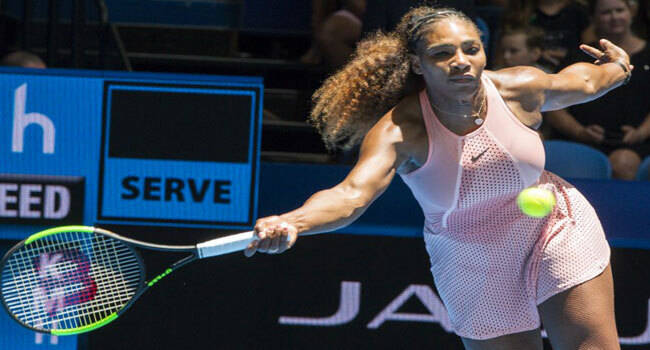 The post Serena Sweeps Hopman Cup Singles Ahead Of Slam Record Bid appeared first on Channels Television.